What is happening in Egypt now is very bad. It is not the worst. But sadly, insiders believe it is the beginning of accelerated descent to anarchy in the country. We yelled ourselves hoarse saying a high frequency of vocal violence among adversaries is a logical prelude to violence on the streets and public squares. All that happened and is happening is everyone’s loss. There can be no winners in this battle, only losers. President Mohamed Morsi lost his popularity among the coterie of revolutionaries who voted for him in the presidential runoff. He lost the confidence of “Couch Potato Party” members who were monitoring his performance in office and looking forward to a better life. He squandered the momentum and international support he generated by brokering the (Hamas-Israel) Gaza agreement. The opposition has closed ranks, but it faces a constitutional fait accompli after (Morsi’s Nov. 22) constitutional declaration and the planned mid-December referendum on the draft constitution. 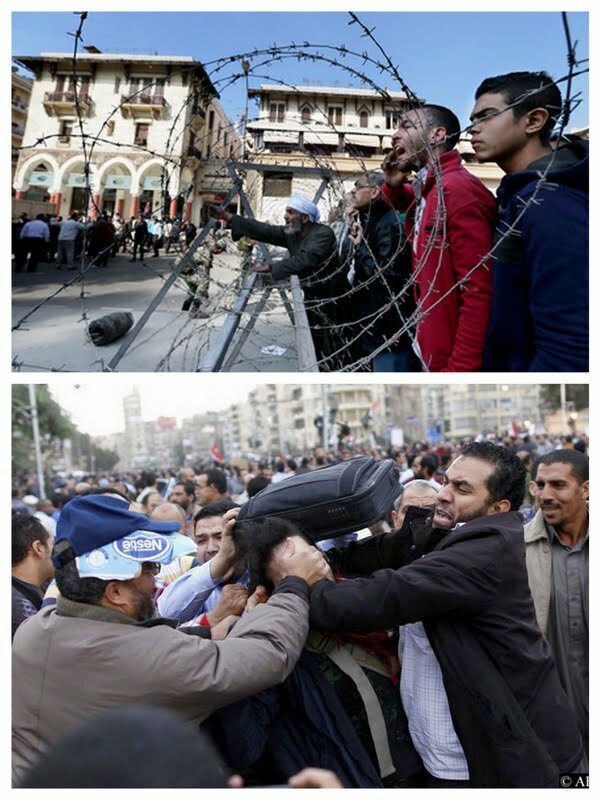 The blood of citizens was spilled in clashes at the doorsteps of al-Ittihadiah Presidential Palace in Cairo. It was also spilled in Alexandria, al-Mahalla and Buhaira. Groups also started torching the head offices of the Muslim Brotherhood’s Freedom and Justice Party. Authoritative sources expect acts of violence and counter-violence on Cairo streets to escalate to unprecedented levels in the coming hours and days. They do not rule out political assassinations of prominent figures by unnamed sides, and the regime’s initiation of political arrests. There is conclusive information that more than 12 million handguns were smuggled into Egypt across the borders with Sudan and post-Gaddafi’s Libya over the past two years. Yesterday, charges of conspiracy against the regime were filed against Dr. Mohamed ElBaradei, Amr Moussa, Hamdeen Sabahi and Ahmed el-Zind, head of the powerful Egypt Judges’ Club. Corruption claims were also filed against a number of public figures. The situation is akin to internecine strife in which each side is resorting to litigation, strikes, demonstrations, media campaigns, political money, rifle cartridges and Molotov cocktails. The idea of dialogue leading to compromise is the last thing on the sides’ minds. Blood is being shed, the economy is collapsing, legitimacy is at risk, and the country and its people are sitting on the tip of a volcano of anger presaging anarchy. Was the proposed constitution worth such a price? Are current events in Egypt the harbingers of an authoritarian regime or of something uncharted?